Ready made packages of Newscoop are available for Red Hat Enterprise Linux 6 via yum. This is the recommended installation method for Newscoop, because it offers automatic updates and resolution of package dependencies. This guide assumes that you have root powers on the target server - if not, you need to ask your system administrator to install Newscoop for you. This command will also upgrade Newscoop, if it has been installed on the server using the yum method or .rpm package previously. 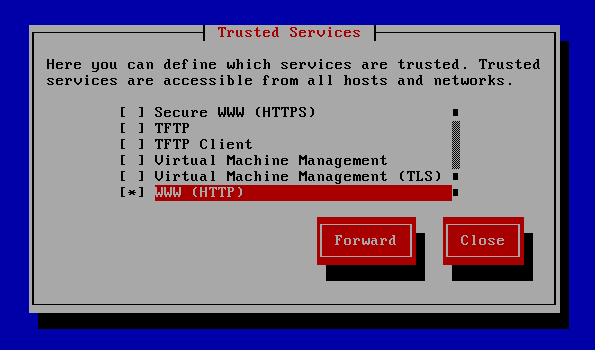 Depending on the configuration of your server, you may have some of these packages installed already. The httpd package for the Apache web server should be installed as a dependency of the php package. See the chapter MySQL installation for details of database setup. If this is the first time you have installed a package from the Sourcefabric yum repository on this server, you will be prompted to import a GPG package signing key, by pressing the y key. If this is a new install, you will need to enter these commands and save the file. The default editor for the crontab supports vi editor commands. 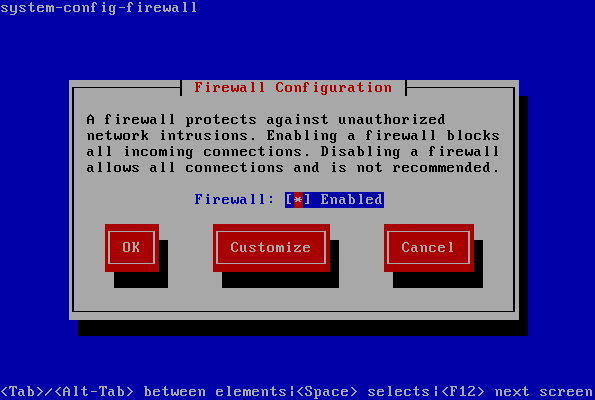 This command runs a wizard which will guide you through the adjustment of firewall rules. Using the Tab key to navigate, and leaving Firewall set to Enabled, select the Customize button by pressing the Enter key. On the Trusted Services page, use the down arrow key to find WWW (HTTP) for the Apache web server, then select it by pressing the Space bar. Then Tab to select the Forward button and press the Enter key to continue. You can skip the Masquerading, Port Forwarding and ICMP Filter pages by selecting the Forward button again, unless you have special requirements. On the Custom Rules page, select the Close button and press the Enter key. You will now be asked if you wish to override the existing firewall configuration. 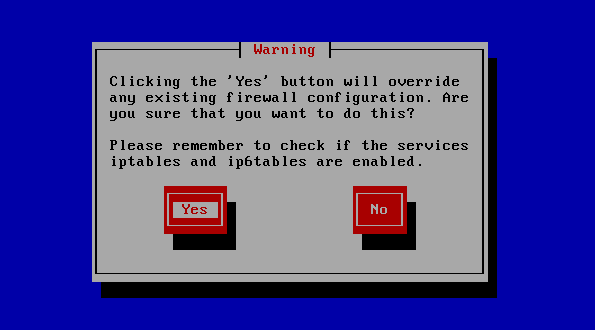 Select the Yes button to continue. 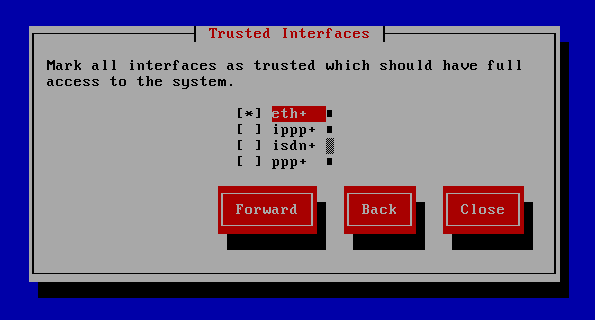 This action will return you to the Firewall Configuration page, where you can select OK to return to the console prompt.